It has been HOT in Southern California this summer. So, only naturally I've been spending as much time at the beach as possible:). I've found the perfect beach dress, and that little gem is Blue Life's exile dress. Short in the front, long in the back, loose but still figure flattering, lightweight and breezy. I've been enjoying wearing Blue Life's exile dress in green to the beach and a black longer cut dress by them to the beach and casually out (see how I style it below). Their breezy dresses don't stop at just one style. 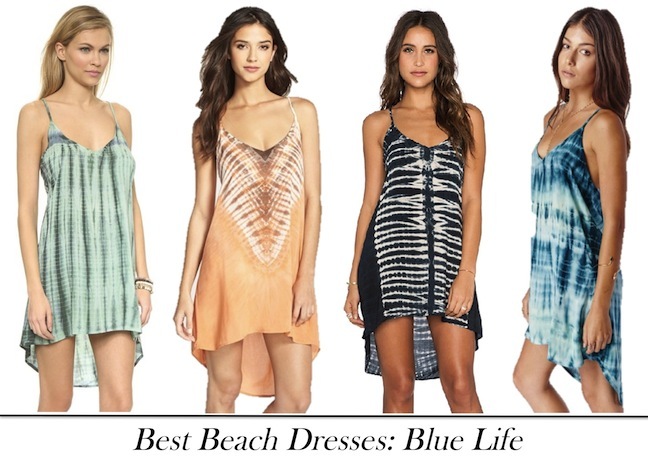 Next up on my list is a shirt dress and Blue Life maxi dress. Those are such cute dresses! I like the one you're wearing.